Our Learning Disability care service provides the opportunity to develop a wide range of life enhancing skills, by providing ‘proactive support’ working on the basis that we do things with people, not for them. We support people to live as independently as possible in their own homes. We like to think that there are no limits to the activities in which you can become involved and provide the appropriate level of support to enable you to fulfil your ambitions. We will ensure that your plan is based around you and changes with your needs or preferences. A team of experienced Support Workers are available to provide the care that is right for you 24/7 or on an hourly basis to suit your individual needs. All of our staff are trained to a high standard in their role. For more information on our Learning Disability service please contact your local branch to find out more. 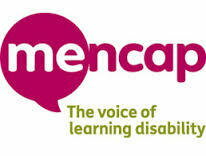 Mencap are one of the UK's largest disability charities and aim to improve the lives of people with disabilities through a range of services, projects and campaigns.